Hashflare: review and opinions. Is it convenient? Do you make a profit? Guide to Hashflare, a cloud mining service (i.e. on the internet) where you can extract cryptocurrencies and make money on this demonstrably profitable business. 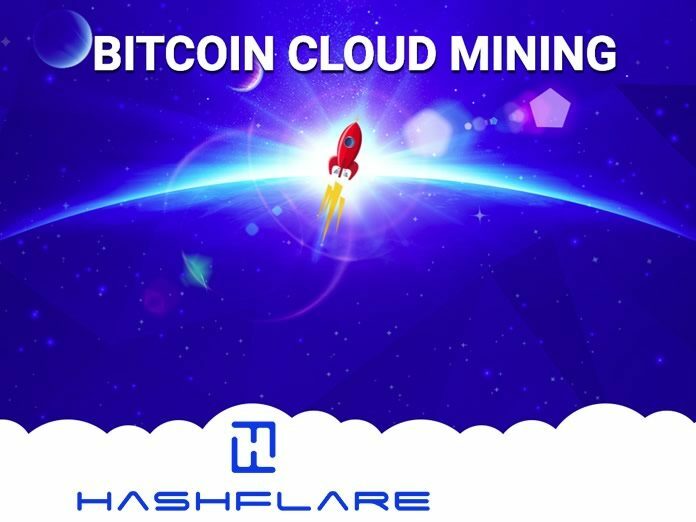 Hashflare is a cloud mining platform: In short, it allows you to mine and thus earn cryptocurrencies without any large investments in hardware because you buy computing power, and it will, therefore, be Hashflare computers and performing the heavy work. Is mining Bitcoins and generic cryptocurrencies still convenient? What is the initial investment? When can I earn? To answer these and other questions, that you should ask if you are thinking of joining a relatively new world like that of digital currencies, we shall walk you through what it means to mine, how to do it, and what are the benefits of the cloud. Mining is nothing other than the extraction of cryptocurrencies, and it is the way in which this currency is generally minted; a PC, through calculations and algorithms, identifies the cryptographic key that validates the blockchain, and at that point you are rewarded with a certain amount of cryptocurrency (for the past few years, it has merely been a very few cents, and for this reason it is deemed as not so convenient). The extraction of cryptocurrencies is decentralised: thus allowing anyone with a PC and an internet connection to start mining activities. Given that traditional mining proved to be a bad investment, both in terms of the money spent in equipment, as well as for energy costs, plus for the time dedicated to the activity, some companies have started offering services of cloud mining. In essence, these companies deal with the practical and technical aspects, providing hardware, electricity, internet connection, in short, everything an experienced miner needs. Investors, on their part, are free from these charges and by paying a monthly rate must only take care of collecting the extracted coin. A not so small advantage, and not only on the economic side: the boom of cryptocurrencies is increasingly gathering interest and increasing in trading activities also by novice investors of this world. Investing via the cloud gives considerable time saving, plus in all cases generates some return, regardless of the competition. In this system, you “rent” a server with a contract which provides for its duration and calculation power; the range of contracts offered is very broad, and you can start investing even on a low budget. The most solid and serious sites that offer this type of service also provide a wide range of hash rates, so that you can diversify your wallet and distribute their investments on more cryptocurrencies. As mentioned at the beginning, Hashflare is a platform that allows you to perform cloud mining. It is among the most appreciated by professional and non-professional traders. It mainly owes its success to three factors. It’s in english. The website is (also) in english, undeniably practical. It is secure and consolidated. Hashflare is a reality that does not promise the moon but has an honest pitch to investors; reinvesting earnings is certainly a possible, as we will see shortly, means to reach substantial sums, but that takes time. The transparency policy is an important sign of reliability: the web is increasingly being filled by fake platforms that promise investments that can give you the moon, but more often than not, these are scams or Ponzi schemes. It is possible to perceive daily returns, and even from the first 24 hours; we remind you that for this operation it is necessary to have a digital wallet for depositing the earnings. If you do not have one, Hashflare will redirect to a secure page where you can create one in full protection of your data. At this point, you only need to choose the type of contract most in line with your risk profile, both in terms of duration and speed, as well as any foreseen management costs for certain digital currencies. In fact, Hashflare does not only offer a service on Bitcoin, certainly the most popular and known virtual currency, but it also includes among its proposals the growing ones such as Litecoin, ZCash, Ethereum and Dash, thus giving the opportunity to diversify investments and follow the global cryptocurrency movement. Furthermore, the website gives the possibility to choose which pool to connect to, i.e. which structure will work best for you. You can select up to three pools, whose settings will be either standardised or customisable. In the event that you are not too familiar with these means, we recommend keeping the default settings or spreading your investment at 33% each, in order to rationalise risks. It clearly emerges that Hashflare has its strength in ductility: suitable for novices entering in the informatic gold universe, but also for experienced traders who want zero their risks, Hashflare is configured as a means of interesting and secure gains that can be reached through constant and reinvested income. But let’s get to the point, which is what interests every investor: how much does it cost to rent these instruments and their calculation power? It depends. There are contracts to extract bitcoins that start from $1.50 for 10GH/s, they have a one-year duration and provide fixed management costs for $0.0035: an investment in short, at very low risk, ideal for becoming familiar with the cryptocurrencies and cloud mining. For those who want to earn more money right away a $7.50 per month plan is available, with a duration of one year, but with a speed of 1MH/s and fees of $0.005 for 24 hours. These maintenance fees are present for all mining contracts on Bitcoin and Litecoin, while the profit on Ethereum and Dash is net because no electricity is used. Making an estimate of how much you can earn per day is practically impossible. The payout depends on a multiplicity of factors, including the difficulty of closing the block and adding it to the chain, from the hash rate, that is, from the power we have underwritten, and from the maintenance fees. On average, however, we can establish that within one year from the signing of the contract, profitability becomes full after costs. Attention: as already mentioned the earnings are every 24 hours and immediately, but we speak here of return on investment, which begins to bear the fruits of an appreciable passive income just after about one year, in terms of a variable amount obviously based on hashrate. The calculation power is incrementable, and the safest and most efficient strategy is reinvesting part of the payout that is accumulated daily. 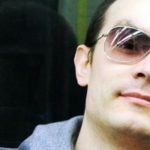 Indeed, you could opt to convert a payout quota into hash rate, and the system will check if there is sufficient credit for the implementation; it will then be picked up as indicated, so as to capitalise the investment in a rolling manner. Hashflare is one interesting and profitable platform, which is affordable for everyone, from small savers who do not have large sums to risk, to the most enterprising who want to diversify their investment wallet by acting simultaneously on more than one cryptocurrency, and including those who are curious about this new digital world that has recently come out of the limelight. What matters is to emphasise is the safety and transparency of the company, whose work has been consolidated for several years and one of the most appreciated globally.